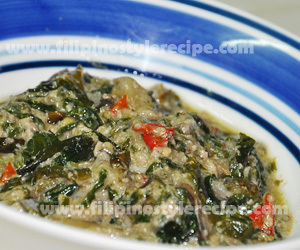 Filipino Style Recipe: Ginataang Laing(Taro leaves in coconut milk) is one of the local dishes in the Philippines. 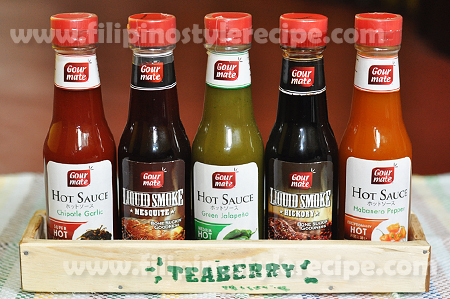 It is popular mostly in Bicol region, they made this dish fiery hot and absolutely delicious though it can an acquired taste to the Western palate. 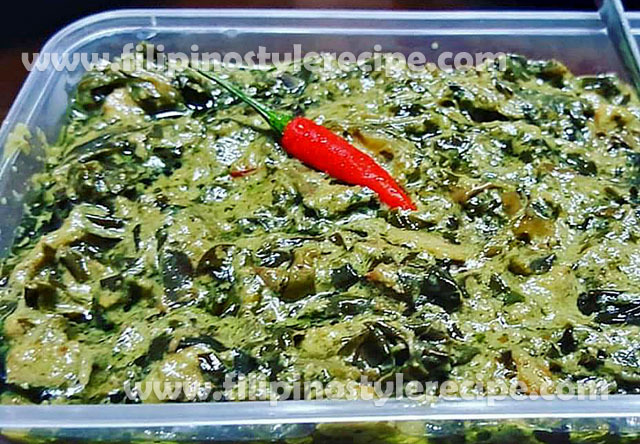 The main ingredient of “laing” is dried taro leaves(dahon ng gabi) cooked with coconut milk and red chili. 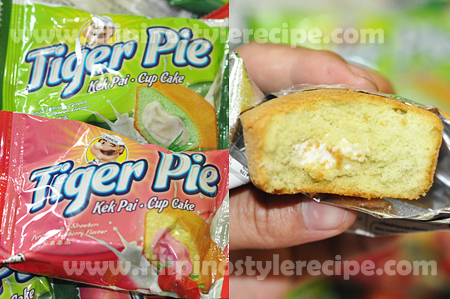 You can include shrimp paste with pork but some used a bits of minced daing, tinapa, shrimps or anchovy paste. If you are health and diet conscious, the plain Laing recipe alone will be the best choice for you. Estimated time of preparation and cooking: 45 minutes. 4. Add green chili pepper and shrimp paste. 5. Sprinkle with salt and sugar and simmer for another 5 minutes. 1. Do not stir the ingredients while cooking so that itchiness of the taro will not spread on the dish, otherwise it will cause an itching sensation in your tongue when eating this cuisine. 2. 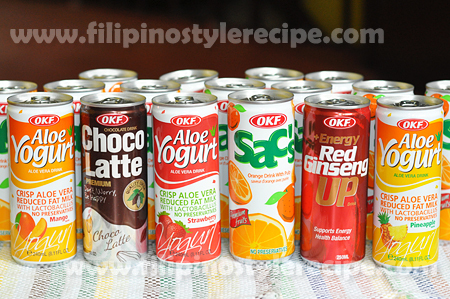 You can replace the fresh coconut with coconut milk in can or coconut powder. However, you have to remember that fresh would always give the best results.